Kazuki's friend who apparently likes to spy on people. She speaks with a Kansai dialect and is much more receptive to Yuuji's bawdy nature than Kazuki, claiming 'all boys are like that'. She also doesn't object to being the object of his attention and even goes so far as to give minor underwear displays. At one point she tells Kazuki if she didn't want Yuuji, she would take him instead. 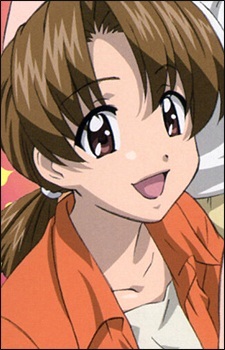 She is just joking but it causes Kazuki to get depressed, especially seeing how well the two got along.